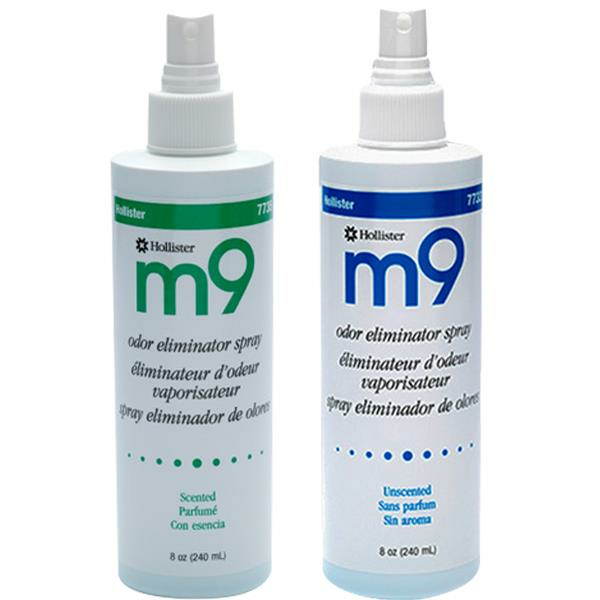 Hollister M9 Odor Eliminator Spray is designed for use by ostomy patients. It is a room spray that helps to neutralize unpleasant odors. M9 Odor Eliminator neutralizes odor rather than covering it. Convenient packaging of pump spray is available for travel or home use.